"Dave" was a loving Husband, Father, Grandfather, and Friend. Born September 23, 1936 to Henry and Minnie Parsons in Bozeman, MT. Dave "Speedy" had a passion for sports growing up. He played baseball for the Bozeman Legion, as well as football for Gallatin High School. 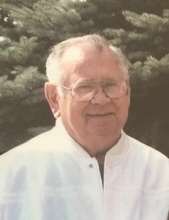 He was the sports editor for the High School paper, where he graduated in 1955. After Graduation, Dave enlisted in the United States Navy. He traveled to the Eastern Pacific, being stationed in Japan, Australia, Thailand and many others. After he departed the Navy, Dave enlisted in the Air Force, being stationed in Alaska, Arizona and Vietnam. During the late stage of his military enlistment, Dave married Barb, his wife of 55 years. The two would raise three sons, Ron, Jeff and Mike, residing in Bozeman, later moving to Belgrade. Dave loved the outdoors, from hunting, fishing and camping all over the state to getting fire wood and having picnics up Hyalite where he grew up. He bowled on many leagues at the Bozeman Bowl and tournaments, his favorite The Mr. Peanuts, in Helena. Dave absolutely loved his three grandsons, Kobe, Kamren (Gunny) and Jayson. From just talking to them about life, to watching them play sports (baseball was his favorite), he was a proud and happy papa. Dave's last days with us where spent surrounded by family and friends. The Lord called Dave home on January 11, 2019 to be with his parents, five brothers, two sisters and many friends. He is survived by his wife Barbara; his three sons, Ron, Jeff (Kara) of Townsend and Mike (Amy); grandsons, Kobe, Kamren and Jayson; his younger brother, Johnny (Dixie) Parsons of Belgrade; his sisters-in-law, Jackie (Allen) and Eve, of Helena and many nieces and nephews across the state and country. He had many people with a special place in his heart, these people include: Sheila, Jocelyn, Sean, Erika, Miranda, Payton, Maureen, Linda, Kate, Bruce, Irene, Jesse and Tim. A celebration of life, with military honors, will take place January 18, 2019 at Dahl Funeral & Cremation Service in Bozeman from 3pm to 6pm. All are welcome to come tell stories and take part in this celebration. We miss you pops! Always will. To send flowers or a remembrance gift to the family of Henry David Parsons, please visit our Tribute Store. "Email Address" would like to share the life celebration of Henry David Parsons. Click on the "link" to go to share a favorite memory or leave a condolence message for the family.